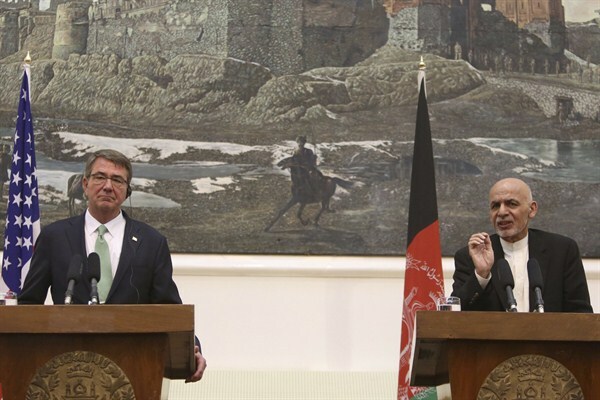 Afghan President Ashraf Ghani and U.S. Secretary of Defense Ash Carter at the Presidential Palace, Kabul, Afghanistan, July 12, 2016 (AP photo by Rahmat Gul). A “less is more” school of thought seems to be emerging in Western capitals where policymakers, public intellectuals and on-the-ground practitioners are trying to find ways to improve the outcomes of international interventions and post-conflict stabilization operations. It may be a fine-tuned judgment about the limited effectiveness and disappointing track record of past efforts, and also about the capacities of receiving countries to absorb aid and technical assistance. But it’s also an expression of the crisis of confidence in Western countries about their core activities to make the world a better place.